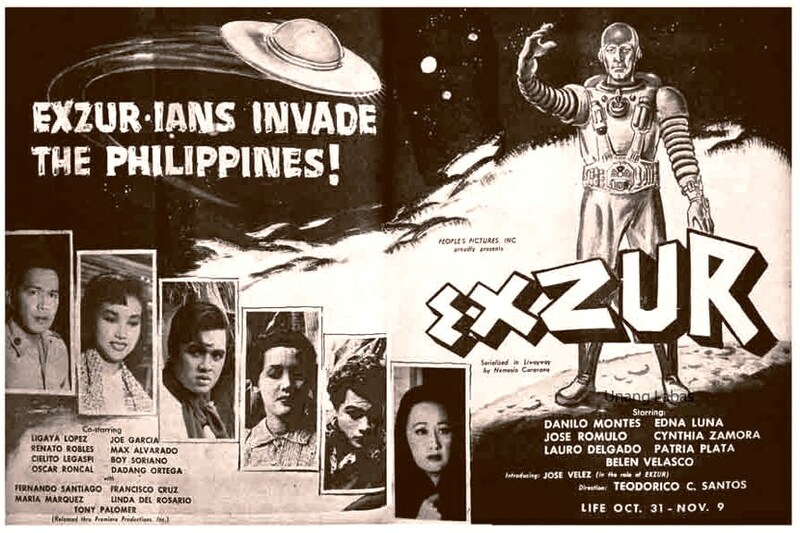 Most Filipinos readers don’t know that the first Filipino Science Fiction story was written almost seventy years ago (making the Philippines, to my knowledge, the first country in Southeast Asia to have a written SF tradition). In 1945 Mateo Cruz Cornelio published a short 48-page Tagalog novel called Doktor Satan (by Palimbagang Tagumpay, Manila). Docktor Satan was a R. L. Stevenson-inspired tale about a brilliant chemist and medical doctor Alberto Estrella who was desperate to find a cure for his mother’s terminal illness. After a batch of his secret formula restores a Russian suicide to life, he drinks his own medicine believing he’d found the secret to immortality. In a Dr Jekyll/Mr. Hyde turn of events, he gets transformed into a demonic being with red eyes, fangs and a pair of horns. The newly-monstrous Dr. Estrella goes on a rampage, destroying property and anyone in his way. He murders his fiancée Nena before he is finally killed by a police officer. His mother however, completely recovers from her illness. 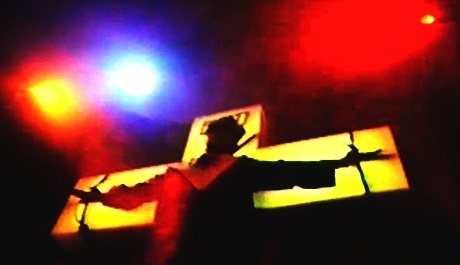 Copies of Doktor Satan are now very rare and one of the few existing volumes can be found at the Rizal Library of Ateneo de Manila University. Another early work was The Heart of Mathilda (Ang Puso ni Matilde) written in 1959 by author and film director Nemesio E. Caravana. This was a dark and brooding story reminiscent of Mary Shelley’s Frankenstein but with a touch of Alfred Hitchcock and H.P. Lovecraft. Caravana’s novel is about Dr. Lino Romasanta a good man whose one true love Angela is raped by an evil colleague. 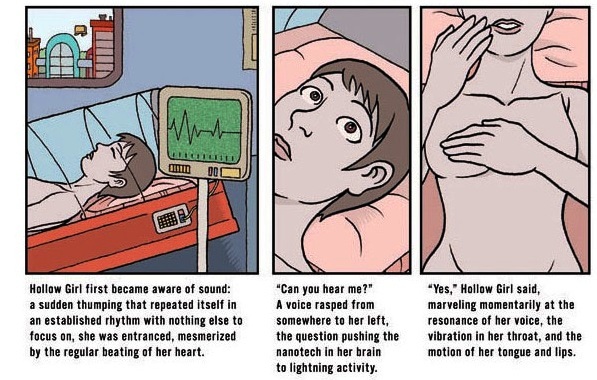 She later suffers a heart attack and dies. Dr. Romasanta just happens to be a skilled surgeon and he rescues his love by replacing her heart with a new one (although he keeps its source secret). The operation is successful but Angela’s behaviour starts to change — becoming more canine and feral. In the end it’s revealed that the heart he’d used belonged to his pet bulldog, the titular “Matilde” (note: it’s amazing how Caravana could get away with such a controversial tale during the very conservative 50s/early 60s). “Hindi matingkala ang kagalakang nag-uumapaw sa puso ni Dr. Romasanta nang matapos ang kasal. Masigla at halos pasagsag na inilabas niya ng simbahan ang kanyang magandang asawa. “After they got married, Dr. Romasanta could barely contain the happiness overflowing from his heart. With great joy and enthusiasm he swept his beautiful wife out of the church. 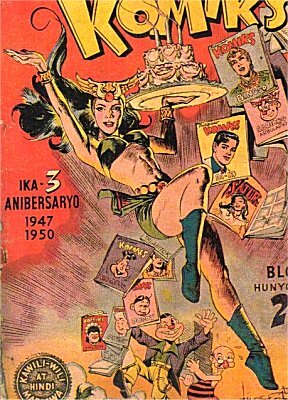 Apart from the two novels mentioned above, comic book serializations were the only real source of Filipino Science Fiction stories in the 1950s and early 1960s — unfortunately most of them were of the pulp variety. The most interesting of these was Clodualdo del Mundo, Sr.’s “Tuko sa Madre Kakaw” (“Geko on the Madre de Cacao Tree”) from 1958. Del Mundo was a prolific novelist, playwright, essayist, short story writer, journalist, screenwriter, teacher and critic who was seemingly not content with his prodigious output of literary pieces. He also wrote numerous popular works such as “Binibining Pirata” (“The Lady Pirate“) and many other fantastic tales (“Salamankero” or “Magic Man“, “Planet Man“, etc.). In this Island of Dr. Moreau-like story, a tormented, psychologically-unstable biologist, Tomas Montevideo, creates a serum that could increase the size of any animal to gigantic proportions. He tests this on an unwary gecko (the titular “tuko“) which transforms into a dinosaur-sized reptile with an unfortunate appetite for destruction. The main plot concerns a group of clueless teenagers who try not to get killed for the bulk of the story. In 1959 “Tuko sa Madre Kakaw” was made into a movie of the same name in by director Richard Abelardo of LVN pictures. Sadly, this movie is now lost save for a few stills (which can be seen in film buff Simon Santos’ amazing blog Video 48). The next few decades were lean years for written Science Fiction. Philippine Literature in general was undergoing a transformation away from Romanticism and any author who did not write under the aegis of committed Social Realism risked not being taken seriously. Despite the fact that it was the height of the Space Age and the local popularity of such SF authors like Isaac Asimov, Frank Herbert and Robert Heinlein, as well as the popularity of Western genre movies like 2001: A Space Odyssey, Close Encounters of the Third Kind and Star Wars, very few Science Fiction works were produced in the period between the 70s and the 90s. However SF and its tropes flourished in local comic books such as Mars Ravelo and Nestor Redondo’s Darna and in film (e.g. the Kaiju movie Anak ng Bulkan “Child of the Volcano” by Emmanuel Rojas, a pioneering alien invasion pulp classic Excur by Teodorico C. Santos, the Filipino version of Heinlein’s Destination Moon, Zarex by Richard Abelardo, and the social commentary Aliwan Paradise by Mike de Leon). Perhaps the only significant work from the 1970s was Tantaroo from 1971. Penned by famed Ilonggo writer Jose E. Yap (writing as Pedro Solano), this story remains one of the very few Science Fiction works in the Hiligaynon language (I don’t think it has ever been translated into English). 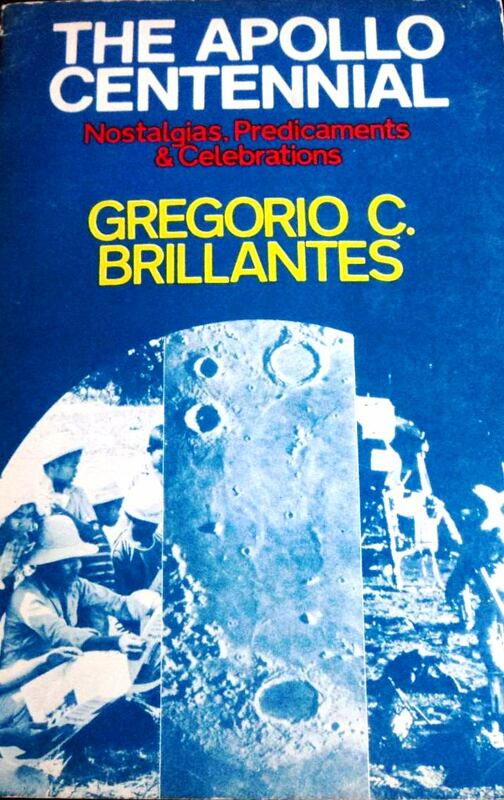 A decade later, the late Martial law period brought with it the first important English language Science Fiction short story — Gregorio Brilliantes’ 1981 piece “Apollo Centennial”. Written as a commentary on the Marcos regime, it contemplated a future where Marcos’ corrupt and brutal New Society never went away. 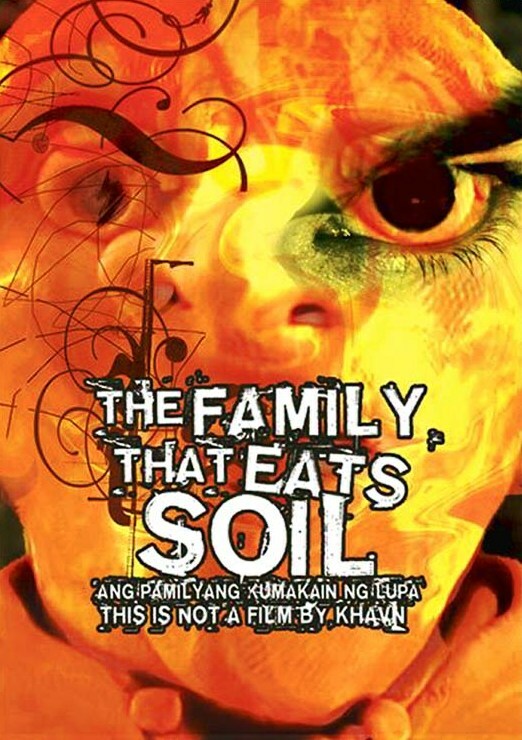 It is considered by many critics to be one of the finest English Language short stories ever written by a Filipino. “Apollo Centennial” is set in 2069, a hundred years after the 1969 lunar expedition, and it tells the story of Arcadio Nagbuya, an indigent farmer who takes his family to see a travelling exhibit of artefacts and mementos from the now 100 year-old lunar landing. The family’s journey is difficult, and in the narrative it’s revealed that while the rest of the world had moved on (to more wondrous high-tech futures), Filipino society had stagnated. The country had become an oppressive police state where traditional regional languages were suppressed in favour of a state-sponsored lingua franca called “Tagilocan”. The story captured in beautiful yet searing prose one of the greatest fears of Filipinos – that nothing will ever change and that the Philippines will always be left behind. Also in 1981, Jose Ma. Espino published the fairly obscure and very hard-to find Orbit 21, a collection of “twenty one tales of Science Fiction and Fantasy” (reprinted by Giraffe Books in 1999). Five years later, in October 1986, he would also release Into the White Hole (Cellar Book Shop). This book was probably the first YA S SF book ever written by a Filipino. (Note: I have not read either of these works as I am still trying to find copies. Source: Honey de Peralta). On the other side of the linguistic coin, infamous local author Arnel M. Salgado published a short novel 14 years later called Kidnapped by the Gods (Royal Press, 1995). This Erich von Däniken-inspired “metaphysical science fiction thriller” was the only SF novel written after 1959’s Ang Puso ni Mathilde until Eliza Victoria’s Project-17 appeared in 2013 (Clodualdo del Mundo, Sr.’s “Tuko sa Madre Kakaw” does not count as it was a comic serial) . It makes for fun if difficult reading (although that was certainly not what the author intended), replete as it is with Salgado’s signature purple prose, as well as his “alternative” use of vocabulary and grammar rules. “They walked finally going into their chamber whence the Time Diffusing Machine was positioned. ‘Go now!’ Captain Schmidt commanded. Without a second, Evan Louis stepped forward thriving to a single flat form with a fibreglass walls. However one feels about where Salgado fits in Philippine Literature — if he does at all (perhaps he is our equivalent of Henry Darger), all his works are certainly singular and entertaining. Kidnapped by the Gods is definitely no exception. However it’s somewhat distressing that this is one of the only Science Fiction works the country produced in an era that also created Jurassic Park (Michael Crichton, 1990), Neuromancer (William Gibson, 1984), Einstein’s Dreams (Alan Lightman, 1992) and Snow Crash (Neal Stephenson, 1992). 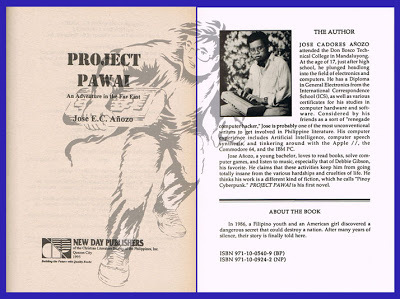 Also published in 1995 was Project Pawaii by Jose E.C. Añozo (New Day Publishers). This very rare volume was billed as “the first Filipino Cyberpunk novel” (Note: As with Jose Ma. Espino’s works, I have not read this book and I am still trying to secure a copy). At the turn of the millennium Speculative Fiction got a much needed boost when the country’s most prestigious literary awards body, the Don Carlos Palanca Memorial Awards for Literature added the “Future Fiction” category (in both Filipino and English languages). The first six winners in the year 2000 were “Kailangan” (“Required”) by Johannes Chua (First Prize, Future Fiction in Filipino), “Cell Phone” by George de Jesus III (Second Prize, Filipino), “Desaparecidos” (“The Disappeared”) by Alwin Aguirre (Third Prize, Filipino), “Subterrania” by Luis Joaquin Katigbak (First Prize, Future Fiction in English), “Secret Notes on the Dead Stars” by Lakambini Sitoy (Second Prize, English, appears in her anthology Jungle Planet by UP Press, 2005) and “The Field” by Adel Gabot (Third Prize, English). Unfortunately, the Future Fiction category was discontinued less than a decade later, after much criticism from the mainstream literary community. Writer and critic Butch Dalisay noted that there was something of “a disconnect” between the intent of the Palanca Awards committee to “encourage writing about the future” and the actual winning pieces — with some works more Fantasy or Realist than what could be pigeon-holed under the term “Future Fiction”. There were also questions about the quality of certain works, with some “old writing hands” intimating that one or more stories would have never won a Palanca had they competed in the general category. Despite these (IMHO mostly unfair) criticisms, many Palanca award-winning works like “Hollow Girl: A Romance” by Dean Francis Alfar, “Ang Pamilyang Kumakain ng Lupa” (“The The Family that Eats Soil”) by Khavn De La Cruz, “Virtual Center” by Raissa Rivera Falgui, “Kaming Mga Seroks” (“We the Xeroxed”) by David Hontiveros, “A Monumental Race” by Arturo Ilano, “Treasure Islands” by Karen Katrina G. Manalastas, “Turtle Season” by Timothy R. Montes, “Sidhi” (“Intensity” or “Strength”) by Yvette Uy Tan, and “Niche” by Catherine Rose Torres (just to name a few) were very well written and have greatly expanded the canon of Philippine Science Fiction. We can only speculate what heights Philippine Science Fiction could be today if the Don Carlos Palanca Memorial Awards Committee had allowed the category to mature. A further issue with the Palancas was that that many of these award-winning stories were only made available online for a short period of time — before they were filed away indefinitely. As such many excellent and interesting works of Science Fiction, Near-Future Fiction (“Last Bus Ride” by Pia Roxas) and Science Fantasy (“Espiritu Santos” by Pearlsha Abubakar) have gone out of the reading public’s reach. Perhaps one day the Palanca Awards Committee can publish a print compilation of all the winners of Future Fiction as has been done for the other Palanca categories. 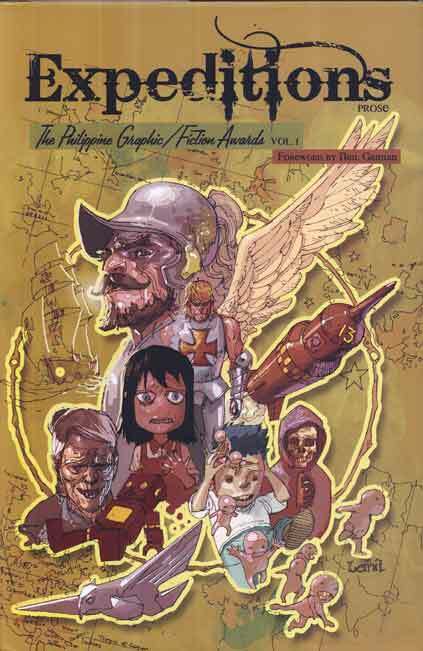 The other notable award of the 2000s was the short-lived Fully Booked/Philippine Graphic Fiction Awards which had been partially sponsored by Neil Gaiman (Collected in the anthology Expeditions with a foreword by Neil Gaiman). This contest had produced a couple of interesting Science Fiction works including “The God Equation” by Michael A. R. Co, the absurdist Science Fantasy story “The Great Philippine Space Mission” by Philbert Ortiz Dy (in which space travel is possible via a rocket powered by human gossip) and Ian Rosales Casacot’s “A Strange Map of Time”, a complex lyrical narrative about a man lost in time. 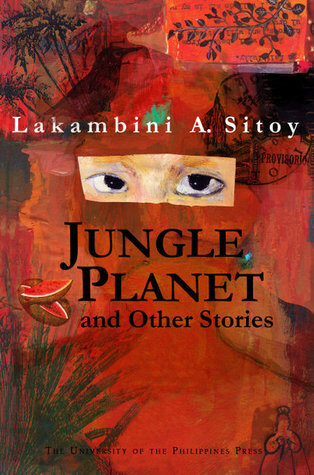 Other venues for Science Fiction that first appeared in the 2000s or first published fantastic fiction include Story Philippines (Founding Editor, Jade Bernas), Philippine Graphic (“Matrice” by Dominique Gerald Cimafranca) and The Philippines Free Press. The latter, in particular, published many excellent genre works such as “Keeping Time” by FH Batacan (which won First Prize in the Short Story category of the Free Press Literary Awards in 2008). There was also the beautifully illustrated Usok or “Smoke” (Founding editor Paolo Chikiamco of the Fantastic Fiction blog Rocket Kapre), which featured mostly urban fantasy stories but also had SF works like Chiles Samaniego’s “The Saint of Elsewhere”; and Philippine Genre Stories (founding editor Kenneth Yu) which published Nikki Alfar’s “Selected Transmissions from Synthesized Human Emulation Mk.8.014b, Otherwise Known as ‘Katey’” and Rochita Loenen-Ruiz’s “The Song of the Body Cartographer”. This excellent short story was nominated for the British Science Fiction Association Awards in 2013. No other series of books has contributed so greatly to the acceptance of Fantastic Literature by local authors and the general reading community. 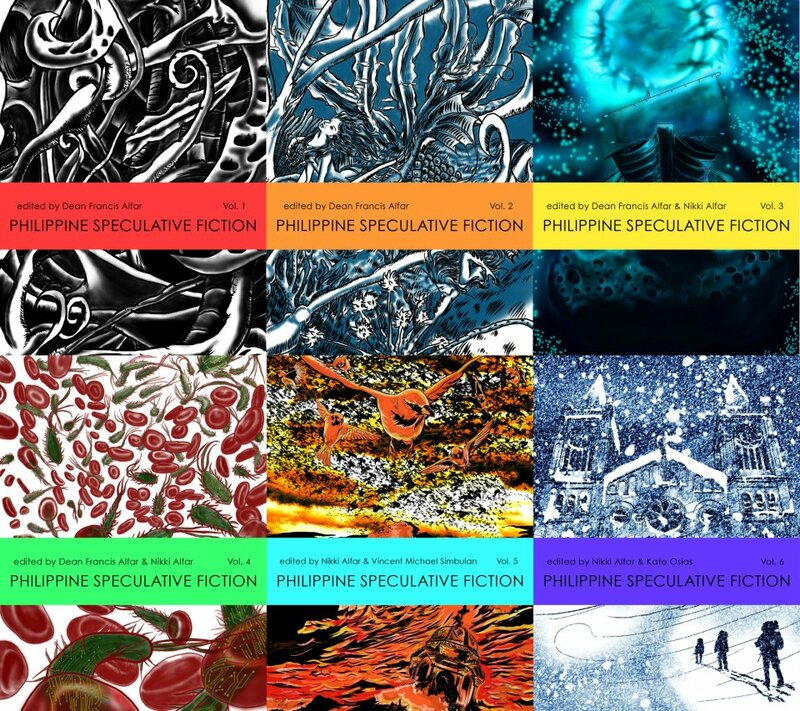 PSF has even made inroads overseas, where its various volumes are often cited when discussing the Filipino Speculative Fiction scene (full disclosure: Nikki Alfar and her co-editor Kate Aton-Osias were responsible for my first published story, “Resurrection” in PSF volume 6). In terms of Science Fiction, the many volumes of PSF have contained numerous gems like “The Doppler Effect” by Tyron Caliente, the Steampunk (perhaps more accurately “Wood Punk”) “On Wooden Wings” by Paolo Chikiamco, “Prisoner 2501” by John Philip Corpuz, “The Sky Gypsies” by Timothy James Dimacali, “The Midwife” by U Z Eliserio, “An Introduction to the Luminescent” by Pocholo Goitia, “Dino’s Awesome Adventure” by Carljoe Javier, “Reclamation” by Angelo Lacuesta, “From the Book of Names My Mother Did Not Give Me” by Christine V. Lao, “Stations” by Gabriela Lee, “Brigada” by Joseph Nacino, “Gunsaddled” by Alexander Marcos Osias (Science Fantasy), “A Retrospective on Diseases for Sale” by Charles Tan (The Philippines’ SpecFic ambassador-at-large whose Bibliophile Stalker blog has been nominated for a World Fantasy Award), “The Ascension of Our Lady Boy” by Mia Tijam (more Science Fantasy and one of the first Specfic stories to explore LBTG themes), “Parallel” by Eliza Victoria, “Sink” by Isabel Yap and especially the hauntingly beautiful story “Ashland” by Elyss Punsalan (also appears in the anthology How to Live on Other Planets: A Handbook for Aspiring Aliens along with Dean Francis Alfar’s “Ohkti”). 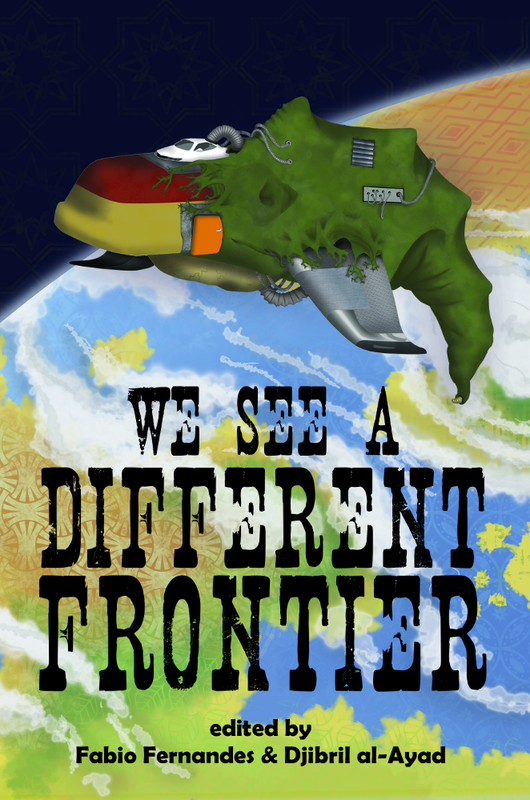 The first-ever anthology of Filipino Science Fiction came out online in January 2012 (and in print the following year). Edited by Joseph Nacino and Emil Flores, Diaspora Ad Astra was a collection of 15 short stories which “dwelt less on gadgets” and hard science and more on what the editors said was “the human face of this technology – specifically how we Filipinos will live with these new technologies.” Among the outstanding stories were Dean Francis Alfar’s space opera “The Malaya” and Isabel Yap’s “A List of Things We Know”. 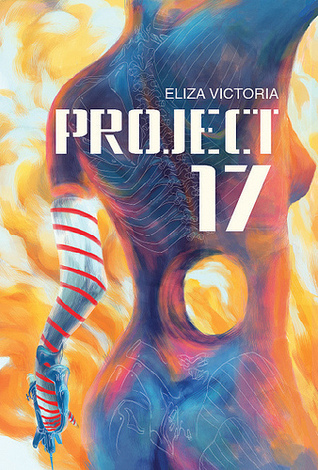 Speaking of firsts, prolific Speculative Fiction author Eliza Victoria published Project-17 in 2013, a fast-paced, social-media savvy near-future thriller about a care-giver caught in a great mystery. The story’s resolution leads to a chilling revelation about the true nature of who runs the world. 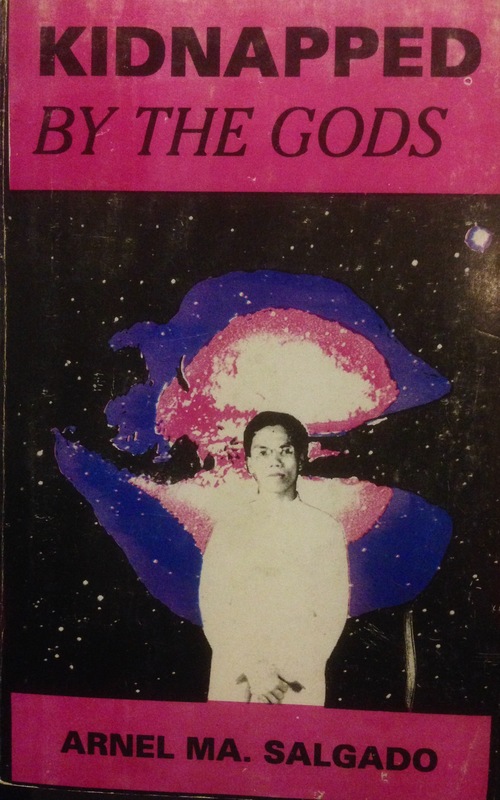 This is perhaps the first modern Science Fiction novel published in the Philippines by a Filipino (Salgado’s Kidnapped by the Gods and Añozo’s Project Pawaii notwithstanding). What’s next for Philippine Science Fiction? Filipino Speculative Fiction authors have now begun to get published internationally with Dean Francis Alfar being the best known, (especially for his much-anthologized fantasy work like “L’Aquilone du Estrellas” which initially appeared in Strange Horizons). 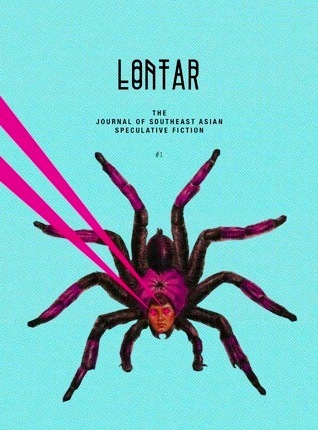 In terms of Science Fiction, Clarion West-graduate Rochita Loenen-Ruiz leads the pack with stunning works of short fiction that often combine high technology and alien cultures with imagery from Philippine mythology and traditions. Her many works include “Of Alternate Adventures and Memory” which appeared in Clarkesworld in 2013,”Alternate Girl’s Expatriate Life” in Apex Magazine in 2012, “What Really Happened in Ficandula” in We See a Different Frontier (A Postcolonial Science Fiction Anthology), and the incredibly beautiful “Dancing in the Shadow of the Once” in Bloodchildren: Stories by the Octavia Butler Scholars, both anthologies from 2013 (also appears in Alex Dally MarFarlane’s Mammoth Book of SF Stories by Women with “Excerpt from a Letter by a Social-realist Aswang” by Kristin Mandigma). Filipino Science Fiction has also appeared in Apex Magazine, Bewildering Stories (“Packing for the Moon” by Dean Francis Alfar), Expanded Horizons (“Once They Were Gods” by Eliza Victoria), International Speculative Fiction (“59 Beads” by Rochita Loenen-Ruiz – Also appears in Apex), Lakeside Circus (my story “How my Sister Leonora Brought Home a Wife”) and international anthologies such as Fish Eats Lion: An Anthology of New Singaporean Speculative Fiction (“Mirage” by Noelle de Jesus) and Lontar: The Journal of Southeast Asian Speculative Fiction (“Departures” by Kate Aton-Osias). I would like to see more Filipino Science Fiction in the coming years in English and in the various Philippine Languages – especially from new and unfamiliar names of younger folks, from every gender and gender preference. I would also like to see someone write a Philippine SF story that is wholly Filipino and free from the colonial mindset and trappings that most writers (myself included) find very hard to escape from. Lastly, I would like to see a Filipino Science Fiction author being shortlisted for the Hugo or Nebula awards. Perhaps Dean Alfar or Rochita Loenen-Ruiz will get a story in and win — or perhaps it will be you, dear reader. Who knows, anything can happen in Science Fiction. Update: I am very pleased to announce that Alyssa Wong, a graduate of the famous Clarion workshop has become the first Filipino nominated for a Nebula for the Story “The Fisher Queen” which appeared in Fantasy & Science Fiction last May 2014. Here’s a great interview at SFSite. All images used in this post are owned by their respective artists/owners.